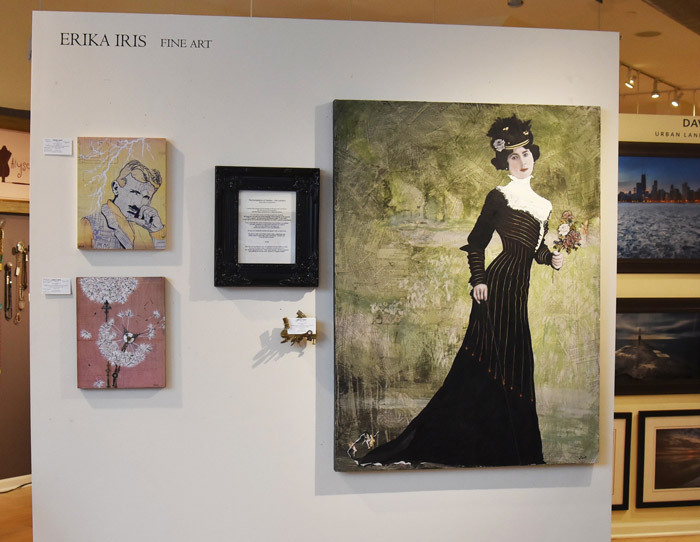 Erika Iris is an experimental artist based in Chicago. She makes portraits out of many media: cassette tape, film reels, and other archaic media. 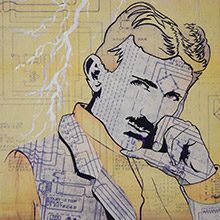 Her current work celebrates the history of math and science, featuring portraits of Ada Lovelace and Nicola Tesla. Sign up here to hear about upcoming events and special offers. Join our mailing list to receive the latest art, design & event news!